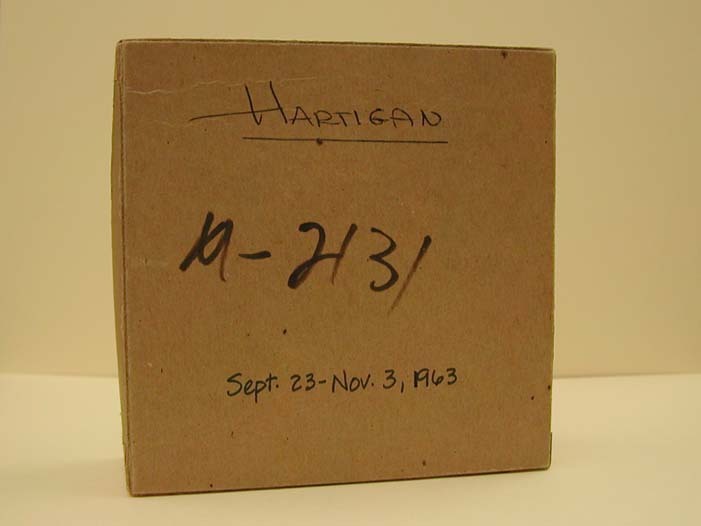 After removing each of the two folders containing materials for the Grace Hartigan Exhibition, (held at the University Gallery from Sept. 23 – Nov. 4, 1963), an item, which had been shoved underneath the folders, was revealed at the bottom of the box: a smaller cardboard box! 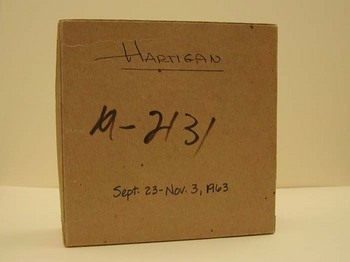 A small note that states, “Joanne – this is the Hartigan tape recording – please ‘file; (ex: folder), 63-64, Sept. 23 – Nov. 3,” covered the small reel of tape that rested inside. 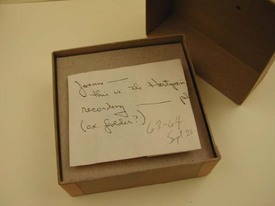 After consulting with the advising archivist, the box was made note of and set aside for further investigation. What is this mysterious media? 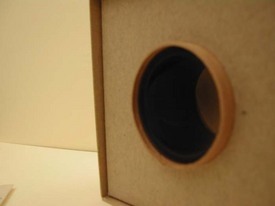 1 Comment on "Mysterious Media"